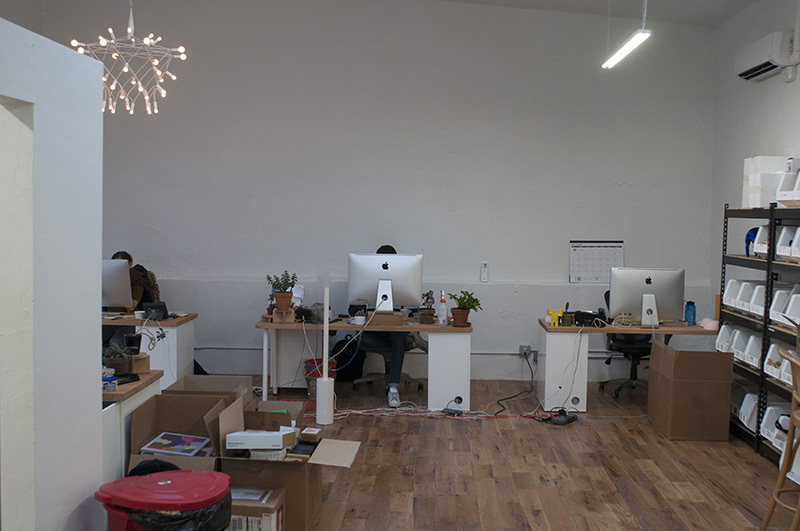 A little over a month ago we started renovation on our new office space in Brooklyn. 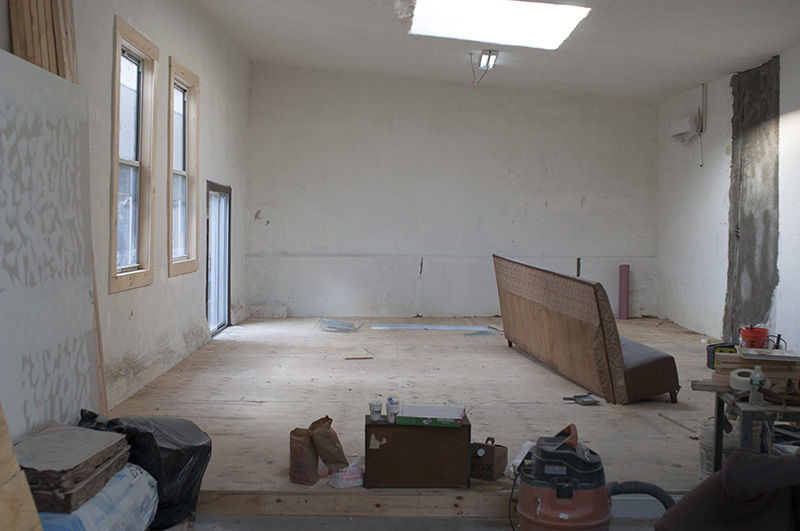 The photo above shows the space in progress sometime in mid-December. It's amazing how quickly things have come together around here - the semi-anxious feelings of moving across town are now a distant memory. 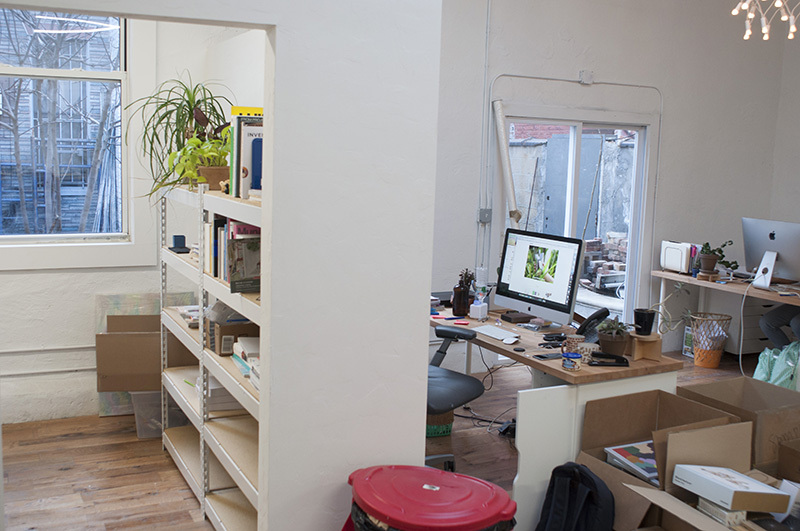 The office has a very open layout with partitions for the creative team, sales team, photo studio and storage room. Our kitchen, garage and showroom are still in progress but coming along nicely! 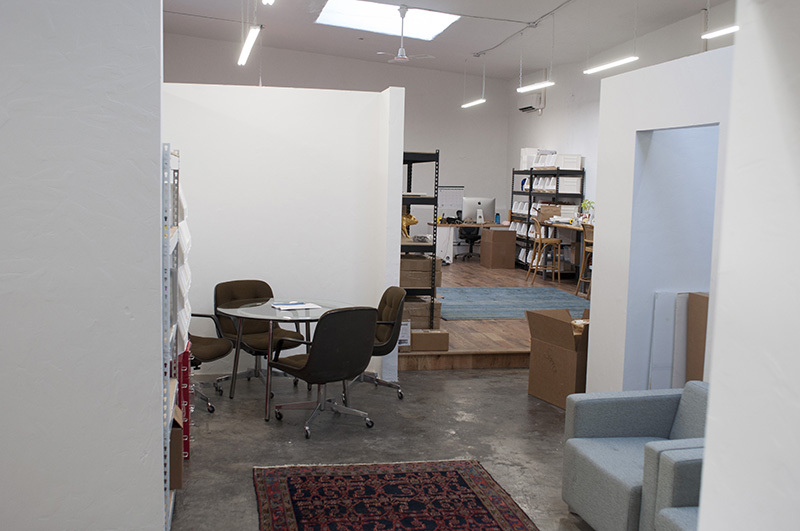 Below are a few snapshots of the new space as it looks today. 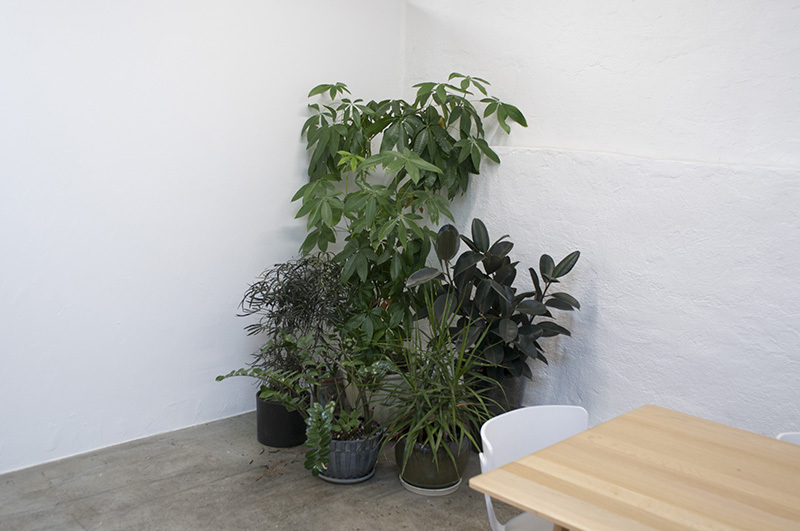 Our plants are finding their way around the office, for now we created a jungle corner. 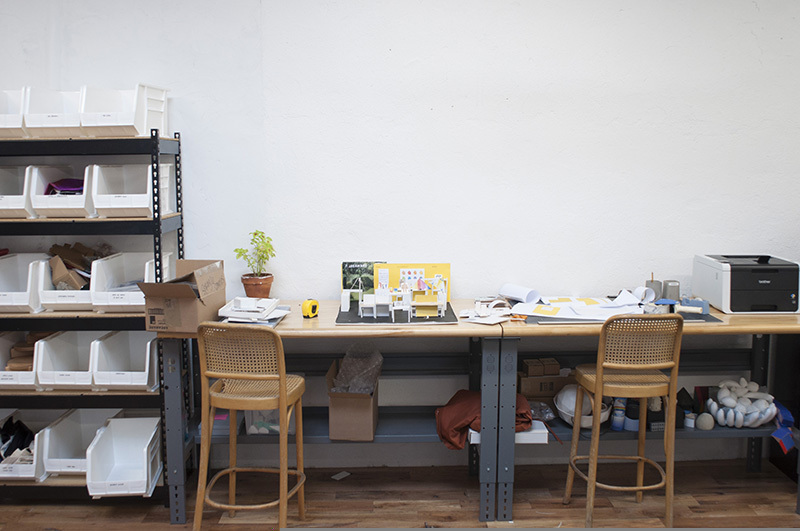 Unpacking the creative work area as we simultaneously use it to prep for NY Now. Note the tiny model of our in progress 2016 NY Now booth. 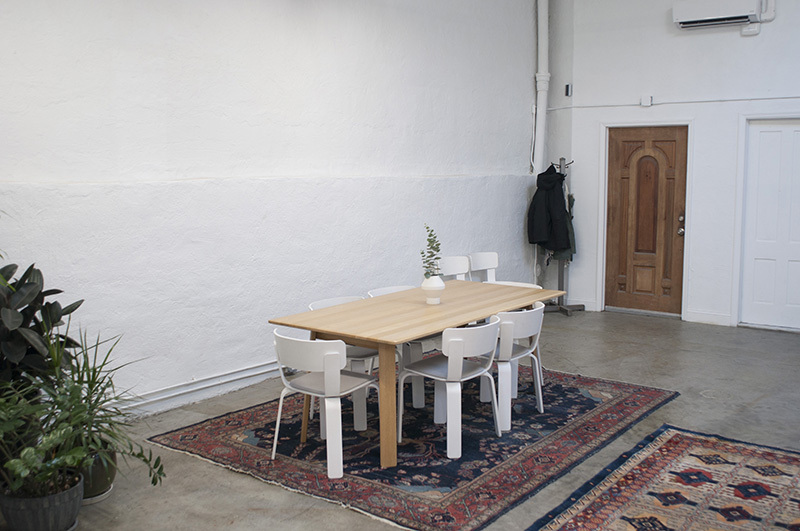 New creative meeting area / Library / Press Archive leading up into the creative work space. Entry way and conference table. 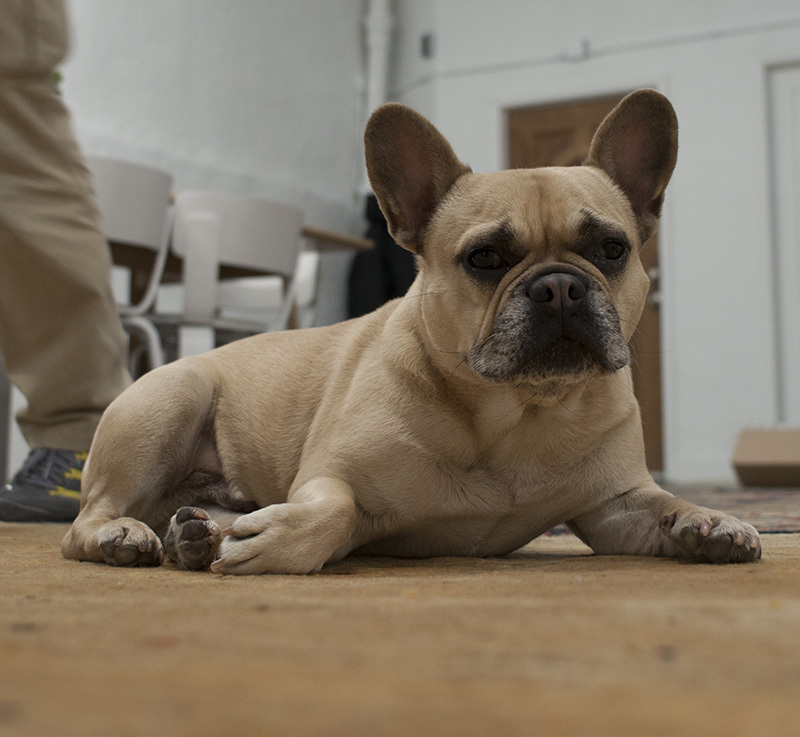 Maplethorpe loves our new rugs!